The new Voigtlander Nokton Classic 35mm f/1.4 Lens for Sony E mount is now listed at B&H Photo but the pricing info is still unknown. The suggested retail price in Japan (excluding tax) is ¥85,000. Shipping is scheduled to start in February 2018. 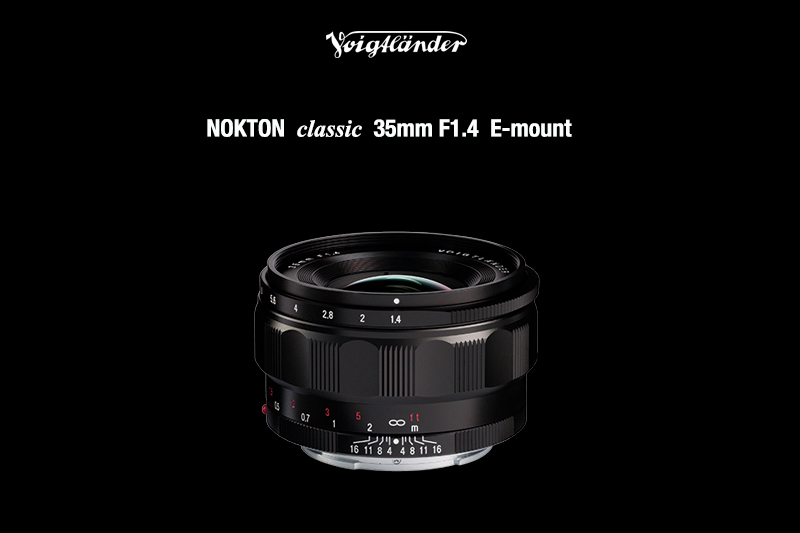 Compact yet fast, the Nokton Classic 35mm f/1.4 Lens from Voigtlander is a standard wide-angle prime designed for full-frame Sony E mirrorless cameras. Its classic wide focal length pairs with a bright f/1.4 maximum aperture to deliver notable control over depth of field for producing shallow depth of field imagery, and also benefits working in low-light conditions. This Voigtlander Nokton Classic 35mm f/1.4 FE lens will an excellent lens for Sony a7R III and Sony a6500/a6300. Reminder: The new Sony a7R III mirrorless camera is now in stock and shipping at major US stores.